If you're reading this you probably noticed that we haven't posted in almost 2 months, and there is a reason for that... We've just been too busy running! 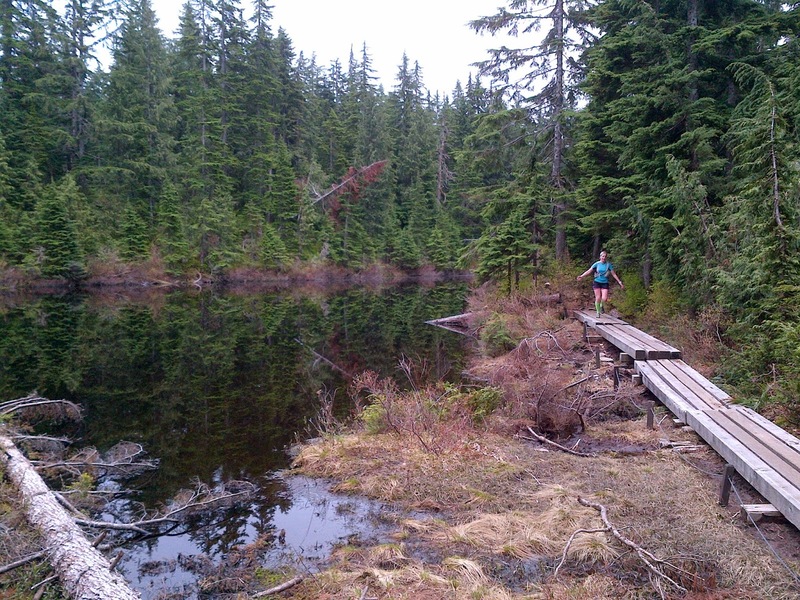 May was mostly comprised of several recon runs along the Baden Powell trail in preparation for the Vancouver 100 in June. May 25: Jenna and I both ran the Iron Knee 24km trail race from Cleveland Dam Park to Deep Cove. The 'highlight' of this race is that it goes up and over Powerline trail, a ssolid ascent of over 1100 ft, this of course is after the first half of the race where you climb from the start over 1000ft to the top of the BP trail near Dempsey Rd. Overall a great day though, as I placed 9th overall with a 1h55m finish and Jenna came in at 2h36m, in the top quarter for the women. June 7: This was the day of the Vancouver 100, or what was supposed to be 100 anyway. It was a hot one! At 5am when we started we were only wearing shorts and t-shirts and we were already cooking. By midday, it was even hotter! Athough I should have known better, I went out fairly hard, keeping up with Daniel Goddard (a darn fast runner! ), not a good idea. I ended up becoming extremely dehydrated by the second half and had to drop at kilometer 74 - things weren't looking too good. Good news was that my feet looked beautiful, not a blister or hot spot, thanks to my Injinji toe socks and my Altra LonePeaks! Jenna was feeling an old injury by the halfway point and decided to call it a day. Still a good 50km all in all. Big thanks to Hasan and Mike for meeting us at the halfway mark! You guys rock!! June 14 weekend: We went backpacking in Manning Park with my family for the weekend and didn't get in much running, but the weighted hiking probably wasn't so bad for training. June 21 weekend: This was really good training weekend in Manning Park as we got to run some of the FatDog course, parts Jenna hadn't seen yet that she would be facing in August. On the Saturday we went from Sumallo Grove to Shawatum Day Use and back, for 21 miles. The next day we did Cayuse Flats to Cascade Rec Area and back, then a little bit up towards Nicomen Lake for a 12mile total with some good hills. 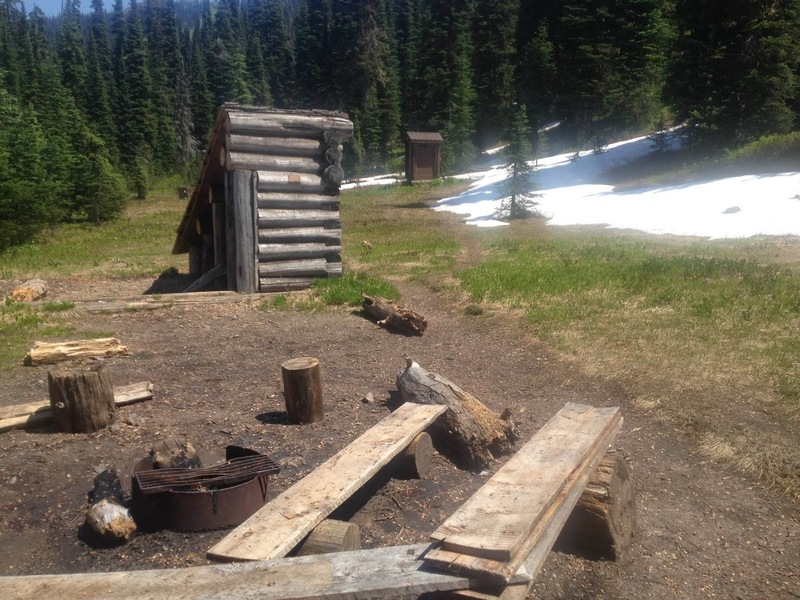 June 28 weekend: This weekend we were camping in Clearwater/Wells Gray Provincial Park with Jenna's family. We managed to get in a couple runs over the weekend including a 17 mile day during which we got absolutely poured on! July 5 weekend: This was the weekend of 24 in the Forest, our little event here in the UBC forest. We ended up seeing about a dozen runners come out over the two days, less than had signed up, but more than I expected - the weather may have deterred some people as it was overcast and threatening to rain the whole time. On the Saturday, I got in 10 laps of the course (51.8 miles) and Jenna did 9 (46.6 miles), then on Sunday I did another 7 (36.2 miles) while Jenna joined my sister for a lap. A most successful training weekend by far! 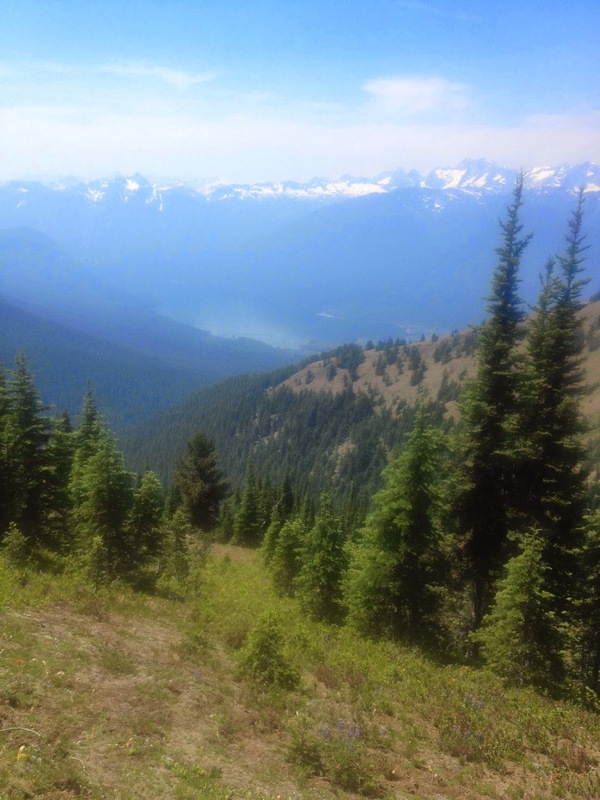 July 12: We decided to do a day trip to the Skagit Valley to run from Skyline 2 trailhead to Camp Mowich and back, with the intention of going further at the top. We made it Camp Mowich in 3 hours, but decided to turn around at that point as battling with mosquitoes and spiderwebs on the way up was more difficult than imagined. Also, it's a lot farther up the mountain than expected. For anyone planning a training day, make sure to go for a swim in Ross Lake, it's glorious! July 13: I ran to Grouse Mountain to meet Jenna and her cousin to do the BCMC. Following that, Jenna and I did the GG proper with her mom and aunt. As an added level of difficulty we, at times, hopped up the grind - that's how you get fit! This past weekend's adventures included a 33.5mile trail run with 3000m of climbing on Saturday, followed by a 16mile, 1400m ascent/descent, day on Sunday. Definitely one of the best training weekend's thus far! On a side note, if you ever get hungry when you're running in/near Deep Cove, check out Deep Cove Pizza for a snack. Call ahead 15mins and you won't have to wait.